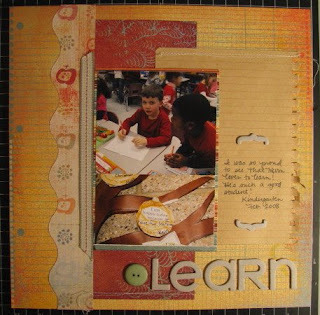 I completed this layout based on a Becky Fleck sketch for a contest on her blog. I used the Basic Grey Recess line for this and added some Junkitz chipboard. I followed the sketch pretty closely. Love the colors. You did a great job with the Map!